Tor.com has just published a new story of mine, “The Things that Make Me Weak and Strange Get Engineered Away” (the title is from “The Future Soon,” a Jonathan Coulton song), which is about geek monasteries that house smart people who can’t get along in the world and put them to work as coders. The story is the first Tor.com piece to be Creative Commons licensed and you’re encouraged to remix it, translate it, whatever. There’s already a podcast of me reading the story (also CC licensed) and PDF, Mobipocket and Sony reader files are already available. I started writing When Sysadmins Ruled the Earth on July 6th, 2005, while teaching Clarion. The next day, the London Underground and busses were bombed, including the bus I rode to work every morning (I was in Michigan, teaching Clarion, thankfully). These kinds of coincidences can be spooky when you’re a writer. I ended up putting the story away for some months. When I returned to it, I was fired anew with the story of Felix and Van and their vainglorious struggle to keep the servers online as the world went offline. Once created, apocalyptic anxiety can’t be destroyed — the 1980s fear of nuclear annihilation I grew up with surfaces anew with each theoretical disaster: Y2K, climate change, und so weiter. There’s something primal about a story of the Earth’s impending doom. I was a sysadmin at an earlier stage in my career and I have infinite respect for the field: sysadmins are the secret masters of the universe, and they keep your life running. Listeners to my podcast heard me read this story, After the Siege, as it was written, shortly after returning home from a family trip to St Petersburg. My grandmother was born there, back when it was Leningrad, and she lived through the Siege of Leningrad as a little girl. She’d never talked to us about those years, but then, walking through Petersburg, she opened up and the stories came pouring out, stories that scared and appalled me. After the Siege is a science fictional re-telling of those stories, with much artistic license. 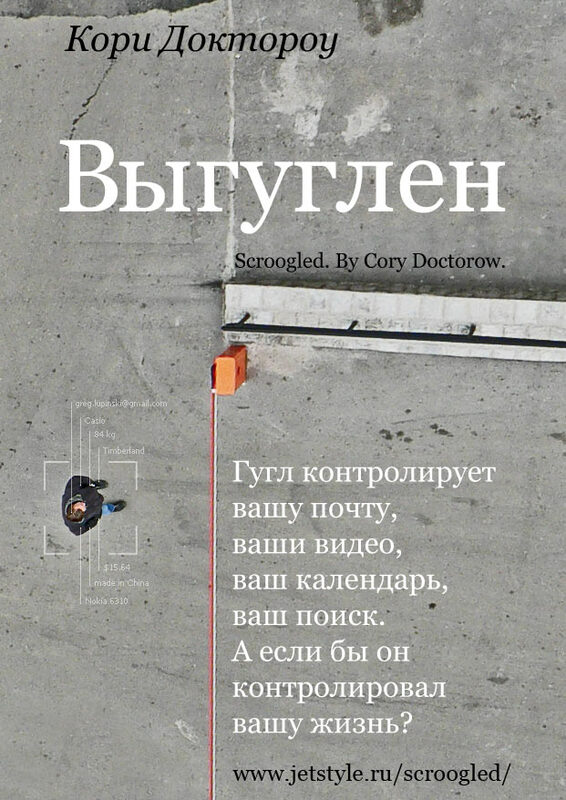 I gave first publication rights to this story to Esli, the Russian sf magazine that had published some of my stories in translation before. In return, Elsi has given me the Russian text to release under a Creative Commons license. The first English publication will come shortly in the online magazine The Infinite Matrix, which published my story I, Robot and other pieces.